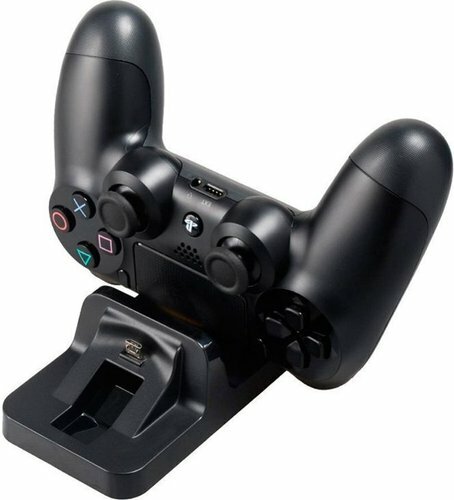 PS4 charge dock holds two DUALSHOCK®4 Wireless Controllers while charging. 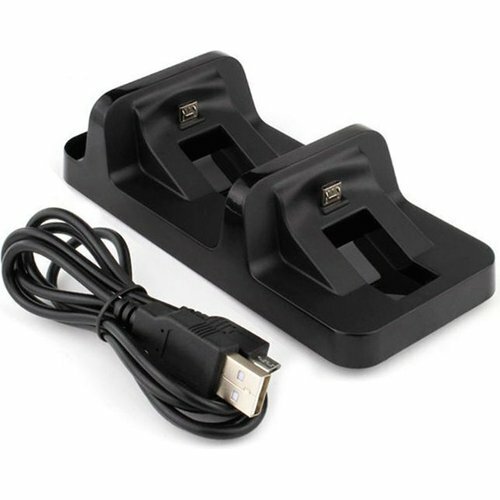 Including 1.50m USB play and charge cable, which can be used seperately to charge up to two controllers directly from the PS4 while gaming. PS4 wireless controller is not included.